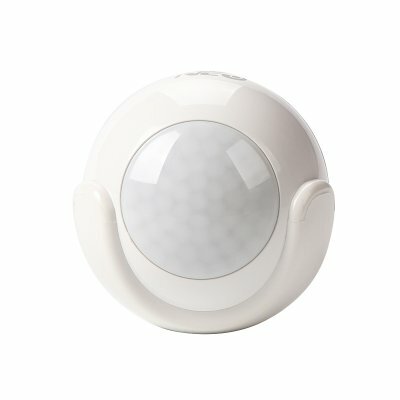 Successfully Added WiFi PIR Motion Detector - Miniature Design, 45m WiFi Range, Day and Night Protection, App Support to your Shopping Cart. With this smart WiFi PIR motion sensor at your side, you can be guaranteed that nobody ever approaches your property without you realizing it again. This tiny security gadget can be easily attached anywhere in your home out of sight of possible intruders. Thanks to the latest infra-red technology, this gizmo is able of detecting motion around your home at both day and night. When used with the dedicated mobile APP, you’ll always stay up to date about your property’s security status. Whenever motion is detected, you’ll stay informed even when you’re not physically around. This premium PIR motion sensor is fire retardant and can be accessed by multiple devices at once. With its 45m wireless connectivity, this smart home accessory can be used even at the most remote corners of your household. Simply attach it to your door, window, or wall - and you’ll always be stay informed on whether there is movement around your property. With this tiny security gadget at your side, you are sure to increase your home security significantly. The WiFi PIR sensor comes with a 12 months warranty, brought to you by the leader in electronic devices as well as wholesale security gadgets..